Technology may change, but CTG’s commitment to customer support and service remains constant. From the small project studio to the large production facility, our goal is to maximize your audio and visual capabilities. Our solutions are customized to your unique needs as an organization. At CTG, people and technology work as one to bring you the best results. 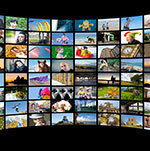 Find out how CTG can modernize your audio/visual experience by reading more. 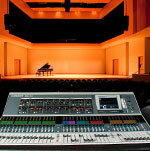 Digital cinema is taking the theater experience to new and exciting levels. By upgrading their theaters with new digital cinema projectors, our clients bring world class entertainment to their audiences. 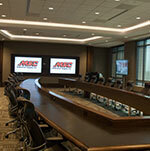 CTG can design and install a multi-function display for any type of location. 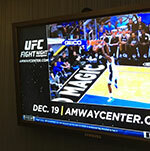 By using state-of-the-art digital signage systems, our clients make a lasting impression on their target audience. CTG can design and install every audio/visual component a governmental department needs, including multi-use distributed audio and video systems, projection and presentation systems, and sound reinforcement systems. CTG provides industry-standard learning resources such as multi-camera sound stages, digital signage for lectures, control rooms, classroom AV systems, professional audio recording suites, editing rooms, and more. 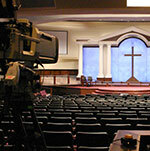 CTG works with many modern churches that use a variety of audio visual and broadcasting platforms to communicate with their local and remote congregations.